Our largest Coaxial design... KS Digital C88 Active Nearfield Studio Speakers. Building on the C8's strengths, the C88 doubles its cabinet and adds a woofer to give incredible performance from 35 Hz to 28 kHz. Featuring a 180W bass amplifier, 180W midrange amp, and 80W high frequency amp, this full-range powered speaker can handle precision mixing in any genre of music. From country to rock to R&B, the C88's ultra-detailed low frequency response and incredibly focused spatial accuracy means your mix will translate perfectly to the outside world, every single time. The C88 is the largest nearfield monitor in our Coaxial line, and it's the best choice if you're looking for a high-powered solution that is accurate at any volume, with dynamic range to spare. 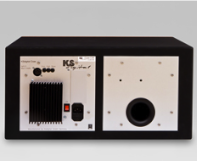 The KS Digital C88 is a self-powered, tri-amplified, full-bandwidth 3-way speaker. Contained inside is a handmade LF 8" carbon fiber woofer and 8" midrange carbon fiber waveguide cone, with a separately-mounted center HF driver. For precise coaxial performance, these time-aligned drivers mean there are no dispersion anomalies vertically or horizontally, and the C88's optimal impulse response means excellent frequency response and phase coherency. The resulting sound output is precise and sonically neutral, giving you the most accurate 3-way nearfield experience you've ever heard at any volume. Placing it next to your computer monitor is not a problem--it includes full magnetic shielding. Impressive for its size, impressive for its sound, the KS Digital C88 is the ultimate nearfield. The fast-acting MOSFET power amps are mounted on the back of the speaker, as well as an XLR input, volume control, bass level control, high frequency level control, low frequency bass port, IEC power, and on/off switch. If you like tons of low end, add our B2 or B3 powered subwoofer, although it's certainly not needed with low frequency performance like this. Imagine the perfect sonic reproduction of your material, with no phase issues, perfect imaging, broad dynamic range, and frequency response that captures every detail and nuance perfectly. That's the C88... the sonic truth. As with all our nearfield studio speakers, the KS Digital C88 is hand-built in Germany for you and comes with a signed Certificate of Authenticity, along with a full 2-year warranty. … Instruments can be clearly located in the panorama. At the same time, the spatial depth is shown in an exemplary manner. Room reverberation, whether created artificially or naturally, can be heard clearly, which enables you to make proper decisions when mixing. … The sweet spot is sufficiently wide, allowing you to move within your listening position without having to deal with poor imaging. … This largest model in the active coaxial series from KS Digital proves itself to be the perfect example of a studio monitor with excellent sound precision. … The new C88 from KS Digital proves very impressively that an affordable 3-way studio monitor can operate perfectly in a near-field application, and become the pride of a project studio. 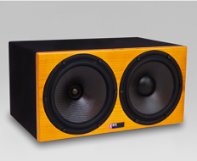 … No other studio monitor we know of reproduces such a complete and balanced sound field. … As soon as we sent our standard test repertoire signals, it dawned on us that we were dealing with an exceptional sound reproduction unit. … Especially above 200 Hz, this box shows precision we have never before experienced in a near-field. Even great 2-way systems like the KRK VXT6 and VXT8 have problems in their design in the area of the crossover frequencies between the high and low driver… but not the C88. Thanks to the well-balanced coaxial design of the high-mid driver, the result is a dynamic, phase-stable, and distortion-free reproduction, with an absolutely flat frequency response. … If you look a bit closer, you will see that the C88 has hardly any competition. Adam P33A, perhaps, but it’s not coaxial. The Focal Twin 6 Be, but those are more comparable to the KS Digital C55. … All that is left is for us to congratulate KS Digital on this marvelous studio monitor. We hope that many people in the market will realize the timeless value of this exceptional product. 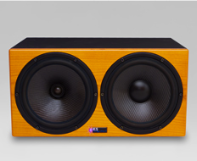 … Despite its compact measurements, the C88’s frequency response stretches from 35 Hz up to 28 kHz. This is data that usually cannot be matched by any other near-field monitor. Among other reasons, this is proof that the C88 is an ideal main monitor. … The C88 is a first class main monitor, which due to its coaxial design can be placed as a near-field or mid-field speaker. … Bottom line, this is an absolutely brilliant monitoring system that KS Digital has launched to the market. … The tonality is balanced and features an absolutely precise point source, which results in great pleasure when listening. … With the Coax monitors C55 and C88, KS Digital has released two studio monitors, which are both highly interesting and professional. Top-notch components, plenty of amplifier headroom, and a great design concept for both models results in excellent measurements at any volume level. Sound-wise, the speakers are neutral and reproduce a wide frequency range. Also impressive is the spatial imaging precision. Dimensions H 48 x W 24 x D 30 cm, 19" x 9.5" x 12"